Play Blu-Ray disc movies on Windows 8? Windows 8 introduces significant changes with new shell and user interface.Work, play and share are so fun under the new Windows 8 system. There is still a pity with Windows 8. Microsoft does not include DVD and Blu-Ray playback support by default in Windows 8. Microsoft explains that DVD and Blu-ray playback as well as watching broadcast TV on PCs is in decline, and thus it no longer feels that the cost of licensing specialized decoders across all copies of Windows is justified. Method 1 allows you to play Blu Ray movies with Blu Ray quality on Windows 8 without conversion. However, the method cannot backup your Blu Ray disc and rip Blu Ray to digital. You will need to use the Blu Ray disc again for later movie watching. Method 2 Ripping Blu Ray on Windows 8 enables you to play, backup Blu Ray disc on Windows 8. No more scratches of Blu-Ray disc and you can enjoy Blu-Ray quality movies in digital on Windows 8. You can manage Blu Ray movies or transfer the Blu Ray movies to devices like iPad, iPod, iPhone, iPod touch, iPad mini, Surface, Samsung Galaxy or Airplay to Apple TV 2 or Apple TV 3 from Windows 8 computer. Step 1: Free download Blu Ray Player for Windows 8. Install and launch it. The Blu Ray Player for Windows 8 supports loading video from Blu-Ray disc, Blu-Ray folder or IFO file. 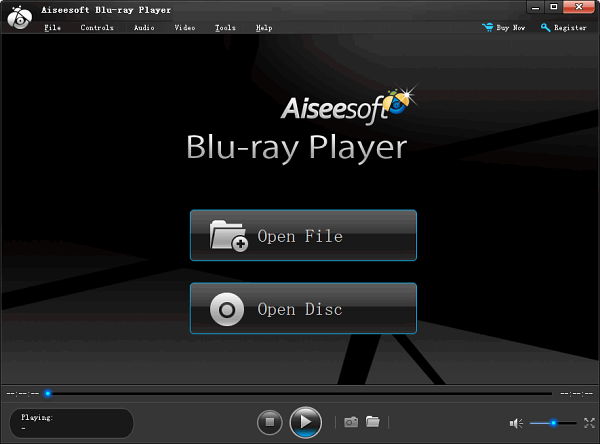 Click “Open Disc” or “Open File” button to load your Blu-Ray movies. The Blu Ray Ripper for Windows 8 supports load video from Blu-Ray disc, Blu-Ray folder or IFO file. Click “Load BD/DVD” drop-down to load your Blu-Ray movies. Click on the “Profile” drop-down at the bottom of program interface and choose “HD WMV Video (*.wmv)” or “WMV – Windows Media Video (*.wmv)” from the “General Video” category. To set parameters of video and audio codec, click on “Settings” to open the “Profile Settings” window where you can customize video audio codec, video resolution, etc.